I've been blogging about traveling to Walt Disney World for 4 years now (what?? how is that even possible?). I've been to WDW too many times to count - as a Florida resident, it's like my own personal playground. But, until recently, I'd never visited the Original Magic Kingdom. Now I have SO much to blog about over the next few weeks/months and I can't wait to get started! 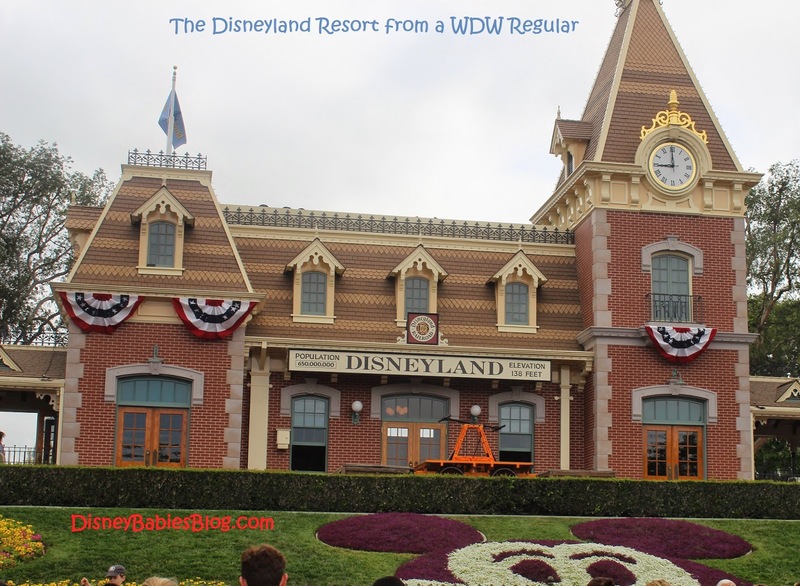 The Disneyland Resort for a Walt Disney World regular! Walt Disney's original theme park 1955 in Anaheim, CA. Walt Disney wanted a place where he and his family - where all families - could spend time together. He thought up Disneyland while sitting on a park bench, watching his daughters ride on a Carousel. Disneyland truly is a happy place and I loved spending time there! 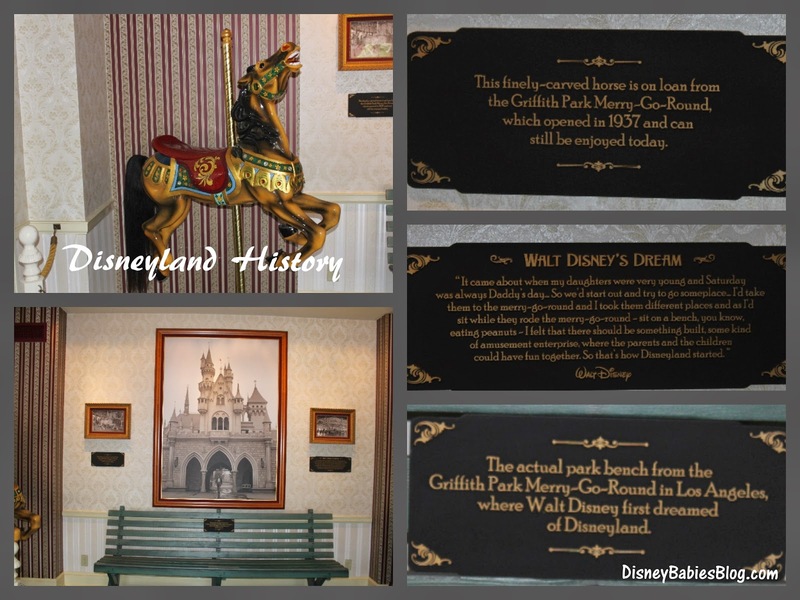 Near Town Square, located in the entrance to Great Moments with Mr. Lincoln is the Disney Gallery - a small room filled with art and historical items, including the bench and carousel horse from Griffith Park. Please don't expect Cinderella Castle. Disneyland's Main Street, U.S.A. is based on Marceline, MO - a small town, quaint, charming, and revolving around the train station. Walt Disney World's Main Street U.S.A. is much larger - they had so much more room to build (not to mention 15 years of experience to edit and revise). But, knowing that Main Street, U.S.A. in Disneyand was Walt's Vision of small town America makes it that much more special. Add Walt's apartment above the fire station (with the light always on in his memory), and the uniqueness of this park hits as soon as you walk underneath the train station. At lunch and dinner, we were able to walk in anywhere and get seated within a matter of minutes (dining reviews will come, I promise!). I have to admit, I haven't seen any of the stage shows at WDW - Beauty and the Beast, Lion King, etc... - our kids aren't the sit still for 45 minutes during a show, so while I can't really compare, I will say the shows at Disneyland were phenominal. Mickey and the Magical Map, Aladdin, and the random shorter shows that appear throughout the parks were in true L.A. style - great singers, good stories, and so much fun! 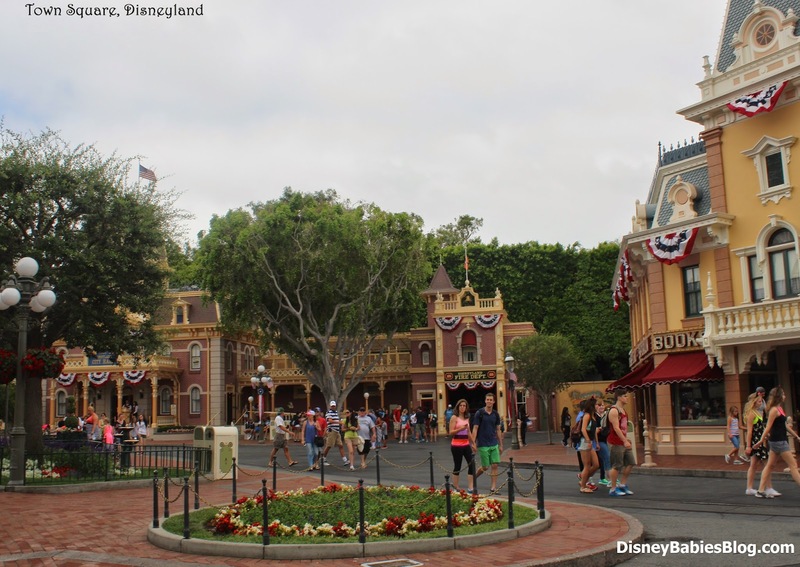 I loved that walking down Main Street or around the Carthay Circle, we almost always heard a live band perfoming. As a musician, knowing that live entertainment is still alive in well is an extra bonus to the west coast parks! So - here's the truth. I can't imagine spending a full week at Disneyland. At Walt Disney World, 4 days in the parks is barely enough to visit most of the attractions - and even with that, we hardly ever watch parades or shows. At Disneyland, we did pretty much everything in our 3 days - with plenty of time for shopping, swimming, and fine dining. Of course, that's also without kids in tow. 3 days is a perfect stay to visit the 2 parks. Park hopping may not even be necessary, but it's extra fun there, as the parks are such a short walk to each other that we kept going back and forth because we could. I could see staying 4 or visiting for a runDisney event - or staying out west to actually see Los Angeles, So Cal, and the many other attractions and possibilities in the area! Keep checking back for more posting regularlity and a TON of Disneyland updates!! Glad to see you enjoyed Disneyland! Agree that 3 days is a good enough time to go. DL and WDW are both so different and great in their own ways. Looking forward to reading the rest of your DL posts!